Prefab cabin for some people have been a fantastic choice of housing. We cannot simply deny that building a conventional (stick-built) home is no more the first priority for everybody. Why? There are several reasons why people are starting to consider such an unconventional model of housing. The fact that to get a license to build a conventional house in some regions isn’t that easy. There are many cases where someone fails to build a house due to not getting an approval from the local government. Needless to say, it is a serious matter. Now, let’s discuss about the benefits of building a prefab house than a conventional house in order to unveil some more reasons about building a prefab house. 1. It takes less time to build. A small prefab house need somewhat some less time to build compared to when we build a conventional house. The complexity of the home design may play a role in it but in accordance with the same or similar design concept the time spent to construct a prefab one is known less. A prefab house is basically a modular house where the modules are constructed at a factory by the manufacturer so the biggest thing to do is to assemble the modules in the home site that you have prepared. Some experts believe that it has anything to do with if it is quite complicated the design of the cabin. However, they also believe that it will not take more than 4 months from the groundbreaking to ready to use. Contrast to it, a conventional house may be finished minimally twice longer that it. 2. It is going to be lasting. Another benefit deals with the durability of a prefab cabin. Many disbelieve in this fact but you can ask anyone who have chosen such a type of house. The answer will be the same: it is durable enough. One of the obvious features of a prefab house is that it typically is more resistant to natural disturbances. Weather change and a bigger one, climate change, can more easily degrade the quality of a conventional house. 3. Remodeling it is always possible. 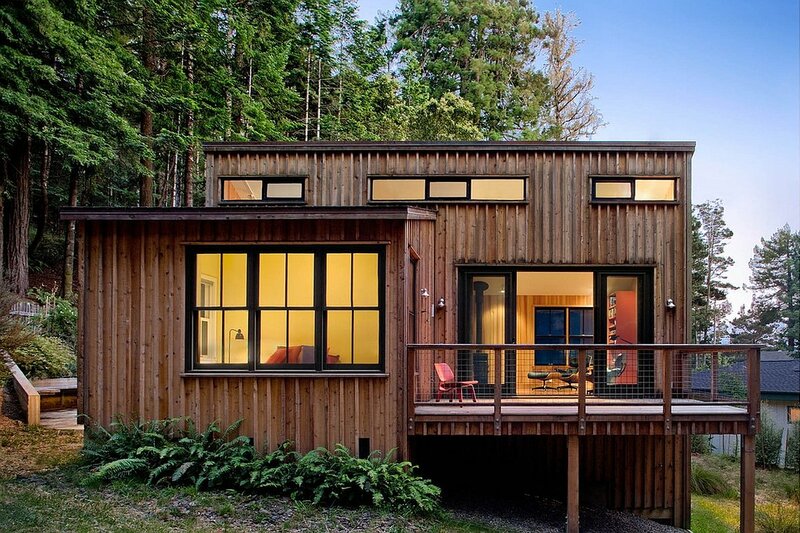 The third benefit would be the easiness of everybody to remodel a prefab cabin. Such a model of housing, though having readily been constructed when you buy it, is still possible to remodel some day in the future anytime you want to do so. The only difficult thing to pay attention is the typicality of the cabin’s structure.